It’s time to get into the rehab process. This is the phase where many first-time property investors run into the most problems. The trouble with hoarding is its hidden damage. Even in an empty house, where the floors, walls, and storage areas are bare, trouble could well be lurking out-of-sight. 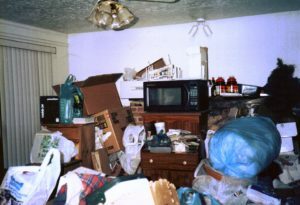 The hoarding clean up process is a challenging one because no one really knows what to expect. Although generally, newspaper, household goods containers, boxes, and like items are commonly hoarded, the mess could well include much more. And, if there are numerous animals involved, that will change at-least part of the process. For professional hoarding cleanup help, just phone 800-433-1094 or visit Junk Garbage Removal.